People are leaving LA, Chicago, New York, Miami, D.C. and San Jose, in droves, for places with cheaper housing. A Rent Cafe study on Affordable Migration in the US shows people are leaving LA, Chicago, New York, Miami, Washington D.C. and San Jose, in droves, for places with cheaper housing. Texas has five of the top 10 inbound cities. Metro Phoenix, Las Vegas, and Dallas-Fort Worth top the list of areas with the largest net population increases between 2012 and 2017. With a median income just $3,000 less than that in Los Angeles and a rent $1,000 cheaper, Maricopa County has become increasingly popular among those fleeing hot markets like the ones in California. Same goes for the top Texas counties in our list where the median income is above that in Manhattan ($83,500). The top counties for in-migration present great advantages in terms of housing affordability. In this category, the rent is anywhere from 14% to 26% of the median income, while in the top 10 out-migration counties it can reach a whopping 64%. What do Los Angeles, Chicago, New York, Miami, Washington, D.C. and San Jose metro areas all have in common? Besides high levels of housing unaffordability, these are all places where US residents are leaving in droves. The home price to income ratio ranges here from 6.3 times to 13.2 times the median income, while a renter household earning the median income is considered rent-burdened. According to the U.S. Census Bureau, around 55% of those who decide to move do so for a housing-related reason, such as to relocate to a new or better home, to find cheaper housing, or to own their home instead of rent. Although the Chicago metro area has a solid economy and a competitive job market, many are leaving it to escape the high taxes. 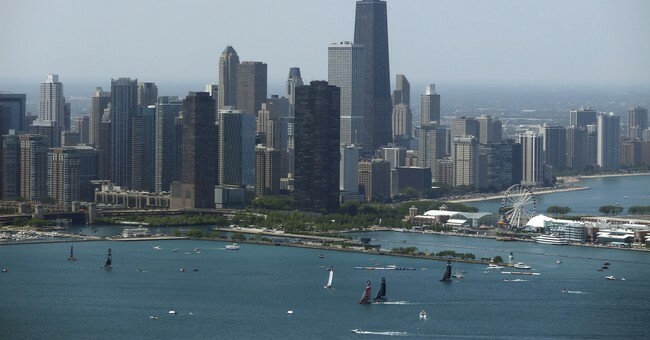 Chicago area property taxes are higher than 93% of the U.S. Steep county and city sales taxes are adding to the total tax burden. Also important to take into account is that Cook County is the second largest county in the U.S., 5.2 million people.